The NATO Days in Ostrava & Czech Air Force Days have gone through a extensive development before reaching the size, form and international significance of today. Below, you can recall the history of this event, past participants and equipment that were on display in previous years. We have attempted to pick the highlight events (“milestones”) from each year, which we have paired with other information such as programmes of the event where possible. We have also prepared a comprehensive overview of aircraft and participants of all NATO Days in Ostrava editions. In 2018, the Czech Republic reminded the 100 years since the founding of independent Czechoslovakia and its armed forces, and NATO Days in Ostrava & Czech Air Force Days were one of the biggest public events commemorating this anniversary. It reflected in presentation of Czech participants, who focused on history of the units, the equipment and vehicles connected with Czech and Czechoslovak armed forces were on display, but the top of the commemorating activities was the unique flypast of more than 20 aircraft presenting the development of our air force, which ended with a drop of symbolic poppies on the memory of armed conflicts’ victims. The role of the Special Partner Nation was taken over by the USA, which influenced the history of Czechoslovakia in a very significant way. For the first time, the US Army presented its armoured vehicles at the event – the M1 Abrams tank and M2 Bradley IFV. It showed also its AH-64 Apache attack helicopters, the US Air Force was represented by the B-52 strategic bomber, F-16 fighters, KC-135 tanker, or C-17 transport aircraft, which was used also for delivering the US Marine Corps’ UH-1Y Venom for the show. So three countries in total presented their armoured vehicles – next to the US also Germany and Poland, we witnessed two premieres of aerobatic groups – Croatian Wings of Storm and Polish Red-White Sparks, and the flying programme of both weekend days was closed by another unique “Nordic flypast” of Danish F-16, Finnish F-18 and three Swedish Air Force Historic Flight’s aircraft - J32 Lansen, AJS37 Viggen and SK 35 Draken. 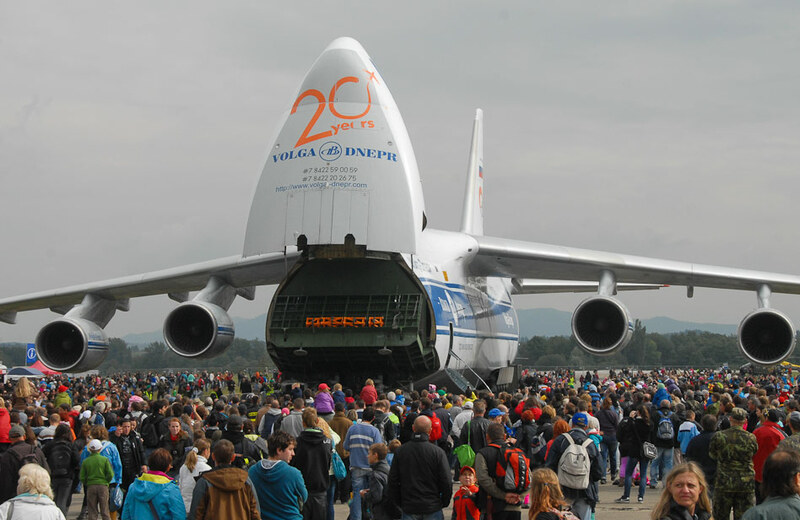 It is worth mentioning that the giant An-124 transport aircraft arrived to the Mosnov aircraft in connection to the show – not for the display, but it brought the Lynx IFV of the Rheinmetall company for presentation. 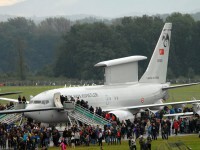 For the first time in the event's history, three non-European countries (the United States, Canada, and Saudi Arabia) took part in the show at Leoš Janáček Ostrava Airport, and three countries - the Czech Republic excluded - presented their ground forces equipment there (Germany, Poland, Slovakia). 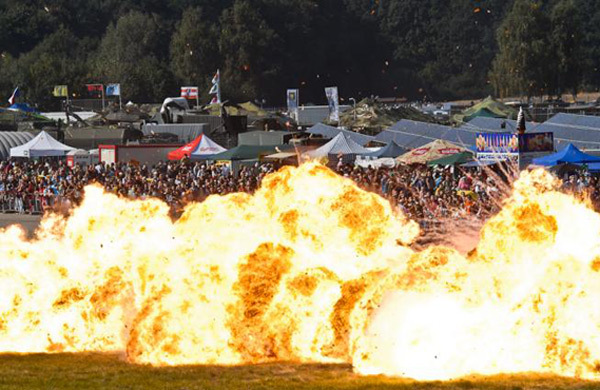 The strength of NATO Days also lies in the fact that despite the historically first cancellation of Sunday's programme of dynamic displays due to bad weather, 25,000 visitors still found their way to the venue. 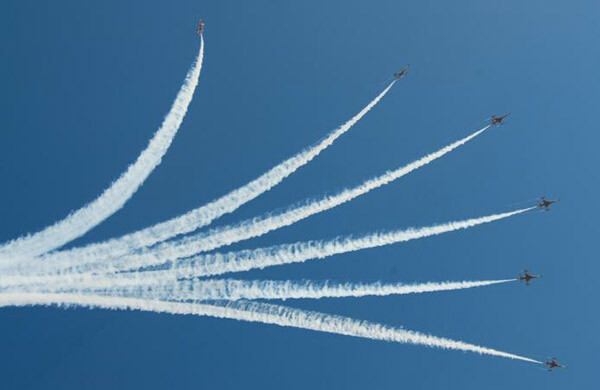 Neither did the poor weather conditions allow the premiere display of Saudi Hawks aerobatic team of the Royal Saudi Air Force whose performance could have only been seen during its practice flight on Monday. Nevertheless, visitors could enjoy dynamic displays of Italian and Austrian Eurofigther Typhoon fighter jets, Slovenian PC-9M Hudournik aircraft, or Italian C-27J Spartan transport aircraft. 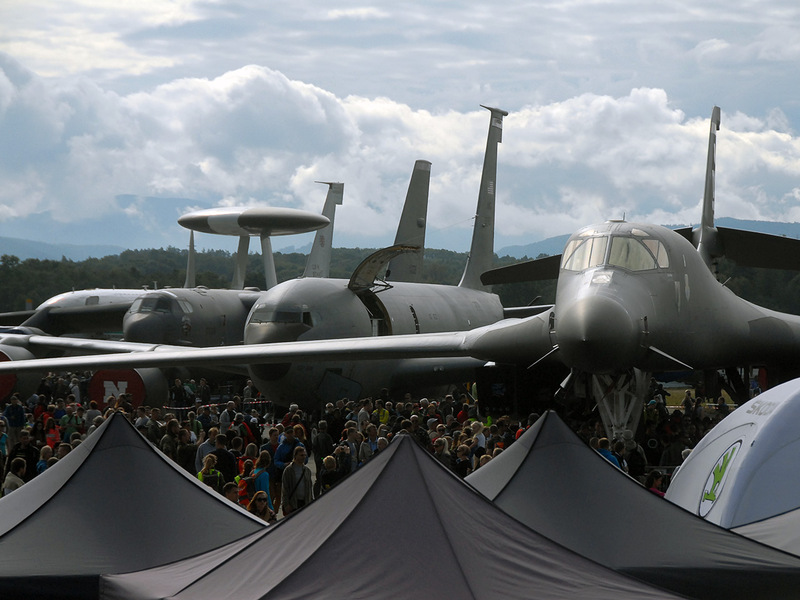 U.S. Air Force’s B-1B Lancer and B-52 Stratofortress bombers could have been seen again on the static display as well as Canadian CF-18 Hornet fighter jet or Turkish E-7T Peace Eagle AWACS aircraft, both of which had their premiere at NATO Days. 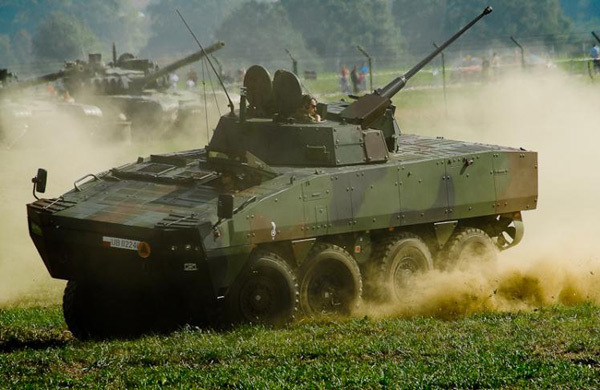 Visitors also found a great interest in the ground forces equipment including Czech premiere displays of German Puma and Lynx infantry fighting vehicles, ASCOD armoured vehicle with its SAMSON Mk II remote-controlled weapon system, Slovak CORSAC armoured vehicle, or Polish Oshkosh M-ATV vehicle. 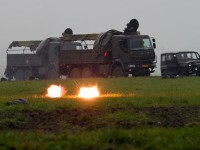 Slovakia accepted the role of this year's Special Partner Nation and apart from its wide presentation of both air force and ground forces equipment, it also presented its police and customs units. Visitors could have seen its new UH-60M Black Hawk helicopter or Fokker 100 transport aircraft, and enjoy the dynamic display of MiG-29 fighter jet. 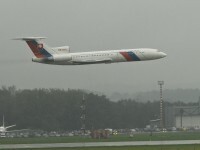 The last public performance of the Tu-154 transport aircraft from the Slovak Government Flying Service represented the peak of the Slovak participation. The decision, what kind of display (static/dynamic) it would be, made the public itself and thus saw the last fly-by of this aircraft alongside with Airbus A319 transport aircraft from the same service on Sunday. The richest programme of flying displays and widest spectrum of ground displays, both spiced by a number of exclusive premieres, or so-far the largest presentation of the Special Partner Nation provided by Germany – those were the main attributes of the 15th anniversary of the event that was, despite the weather, really successful. 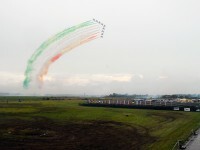 Thus visitors could admire group aerobatics of Italian Frecce Tricolori, skill of the French pilot of Rafale aircraft, Swiss F/A-18, Romanian MiG-21 or Eurofighter Typhoons of five countries, which met for the first time at one event and three of whose closed the programme with a joint flypast. Two U.S. strategic bombers dominated over static displays – “traditional” B-52 Stratofortress and first-timer B-1 Lancer. But they had a remarkable companions in two anti-submarine P-3C Orion aircraft (of German and Norwegian Air Force), NATO’s E-3A AWACS and in its Central European premiere also German transport plane A-400m Atlas. Meeting of twenty helicopters was unique as well, when premieres of the US Apache, German Tiger and NH-90, or Lithuanian AS365 were accompanied by farewell of German Army’s Bo-105. 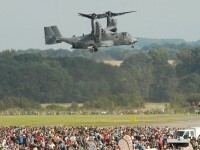 The US CV-22B Osprey, tilt-rotor aircraft, then made its third appearance in a row. Regarding the ground displays, there were also, with the exception of traditional Czech participants, best seen German units, which joined some of the dynamic displays. 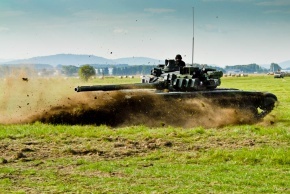 So for the first time in the event’s history, the Czech Army showed its international cooperation, thanks to including German Leopard 2 battle tank and Bergepanzer recovery vehicle in joint Czech Army’s display. But Poland shouldn’t be omitted either – it showcased its air force, civilian security units and for the first time also Agat, one of its five special forces unit. 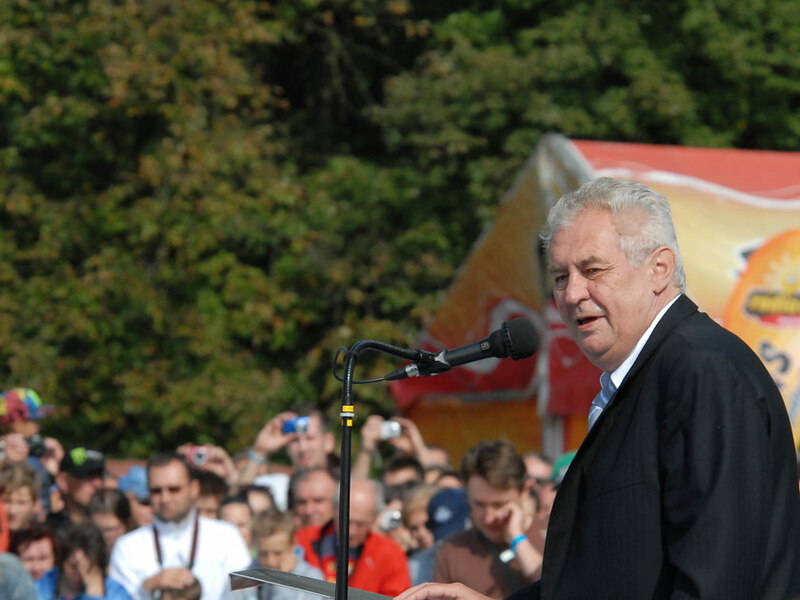 The 2015 edition was marked by the gathering of true giants, in an unprecedented display feast in the Czech Republic to date. Leading the way was the Royal Netherlands Air Force KDC-10 flying tanker. Another welcome mammoth was the US Air Force’s B-52H, returning to the show after the three years’ absence. A rare appearance was the C-17 of the multinational Strategic Airlift Capability programme, deployed by Sweden that became the Special Partner Country of 2015. 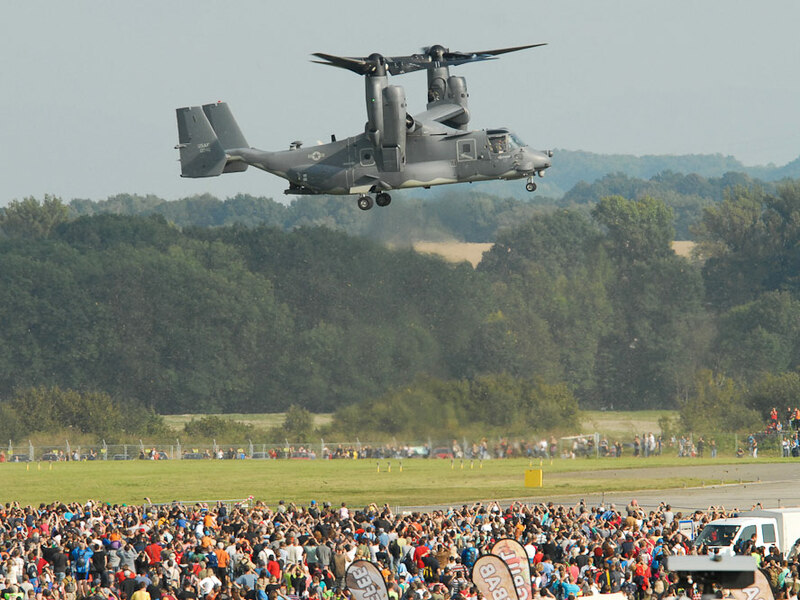 This already remarkable static presentation was further complemented by the top star from 2014 – the CV-22B Osprey and by the public premiere of the new Aero L-39NG demonstrator. 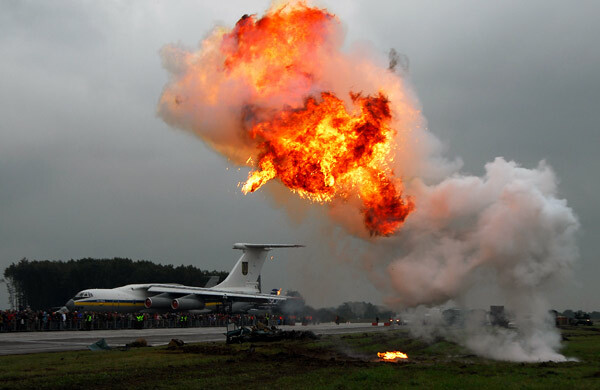 Already mentioned Sweden wrote history of the show since it was for the first time when an exhibiting country used a means of strategic airlift to bring along some of its heavy ground equipment. 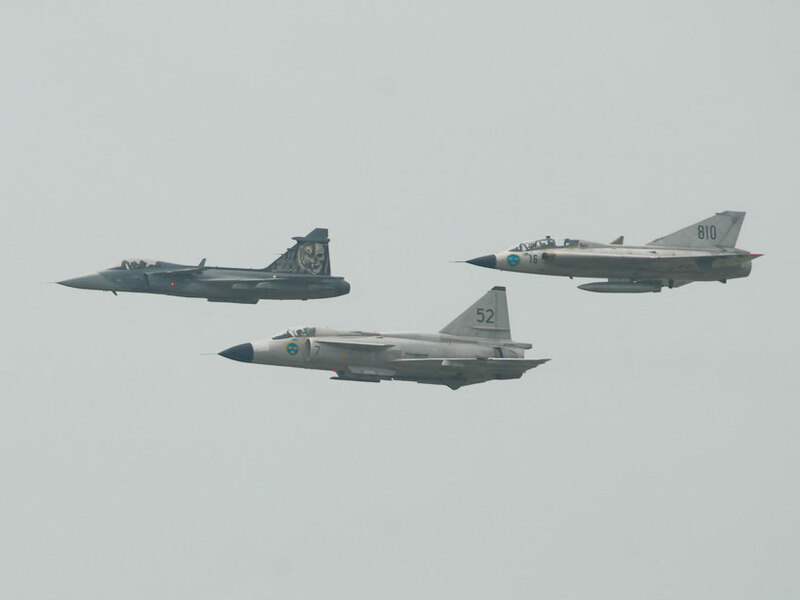 A treat to remember was also the final break of the 4 historic Swedish aircraft (Tunnan, Saab 105, Draken, Viggen) with the Czech Air Force Gripen. 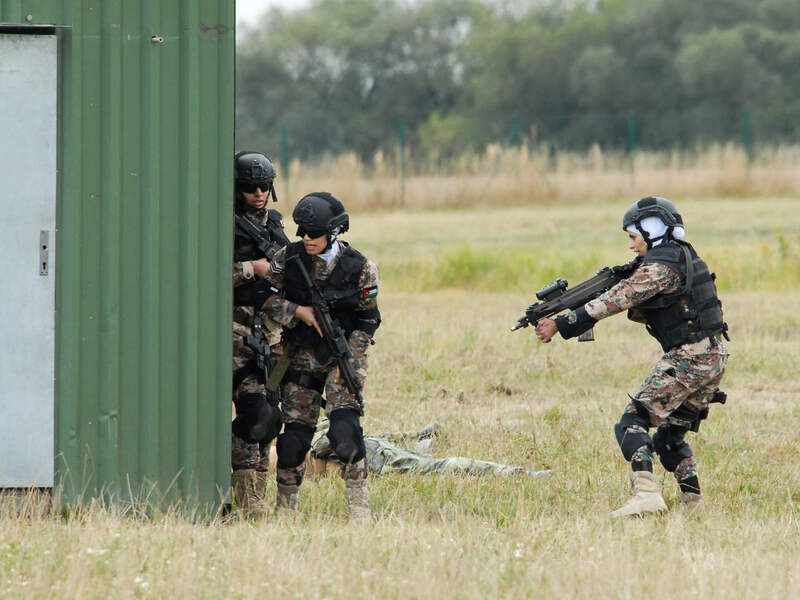 On the ground, in what was the premiere participation of an Arab country, Jordan presented its female strike Army unit. 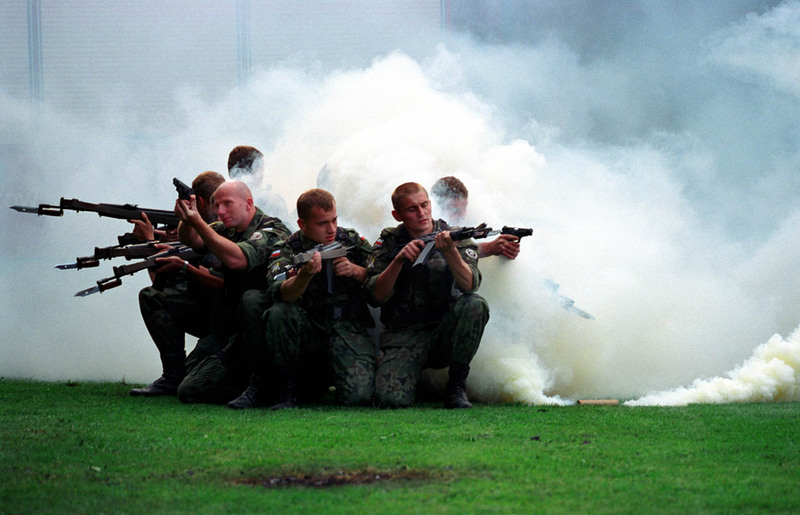 The Jordanian warriors worked together with the Czech Army elite unit from Prostějov. We have hosted some very distinguished international guests, too. They were, most notably, Swedish Defence minister Peter Hultqvist and the new NATO Military Committee Chairman, Czech Gen. Petr Pavel as the historically highest NATO representative to attend the show in what was his first-time appearance in his new function in the Czech Republic. The 15th anniversary of the Czech Republic's accession to North Atlantic Alliance was commemorated at the Ostrava Airport by the record-tying number of visitors, who could enjoy many premiere displays. 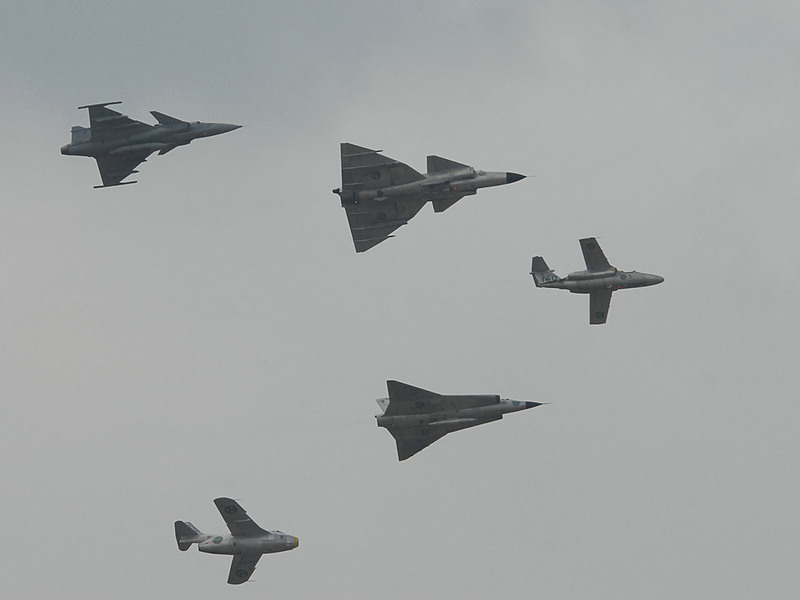 The first European presentation of the U.S. Special Forces' CV-22B Osprey tilt rotor aircraft, unique participation of the Turkish RF-4E Phantoms or joint fly-by of the three generations of Swedish SAAB aircraft - Draken, Viggen and Gripen - stood out. Three F-16 Demo Teams - Dutch, Danish and Greek - also "fought" for spectators' favour, together with the first-timer Finnish F-18. Fire fighters playgroup Lion Cobs from Klimkovice was among the most interesting, and certainly most unusual, displays on the ground. Supreme commander of the Czech Army, President Miloš Zeman, also attended the show for the first time. Concept of Special Partner Nation was introduced in 2014. It offers one country an opportunity to present itself in an unmatched extent at an exclusive area. 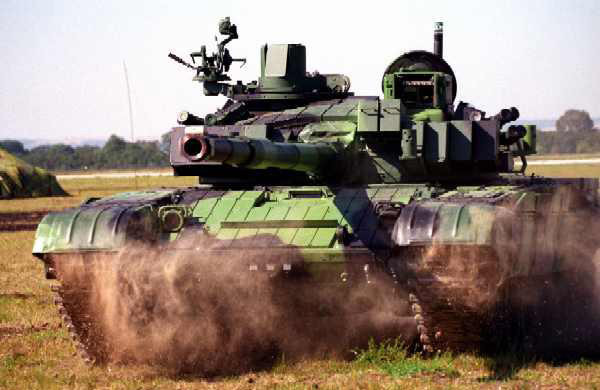 Historically first partner nation was Poland, so visitors could see the whole spectrum of its aircraft, all types of supersonics among others, army ground vehicles with Leopard battle tank, and others. Traditional participant of NATO Days, Polish border Guard, was awarded the ribbon of the Euro-Atlantic Council as an appreciation of long-term cooperation. 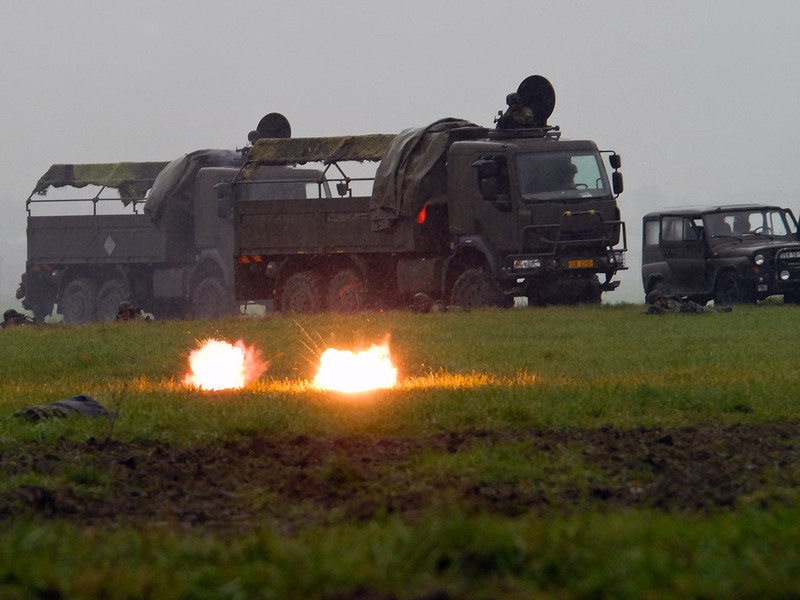 Year 2013 served to remember the 20th anniversary of the independent Czech Republic and its armed forces. We remembered it by anniversary logo of the event and by a unique joint fly-by of the Czech and Slovak air forces. There were unique displays too that presented capabilities of NATO and its partners – in-flight refuelling of Czech Gripens by a Swedish KC-130 tanker and strategic transport presented by the giant An-124 Ruslan transport aircraft from the NATO SALIS programme. 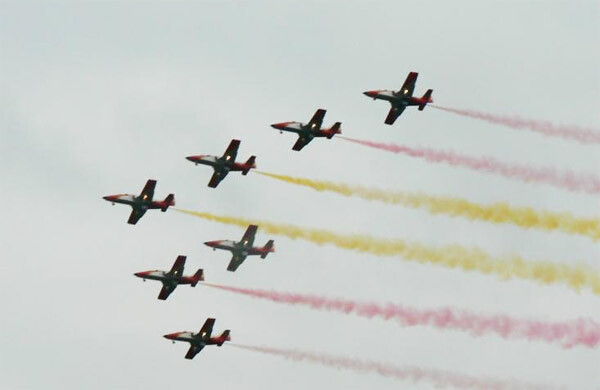 Other attractive displays were especially show of aerobatic teams Turkish Stars, which came back to Mošnov after two years, and Patrulla ASPA, which introduced itself to the Czech visitors for the first time, or Swedish Viggen and Saab 105 historical aircrafts. International action-filled displays of interventions were visitor-magnets. There were displays of elite Czech and Polish policemen and special forces of Czech and Slovak prison services and customs administrations. Besides modern vehicles also the only surviving Czechoslovak interwar tank LT vz. 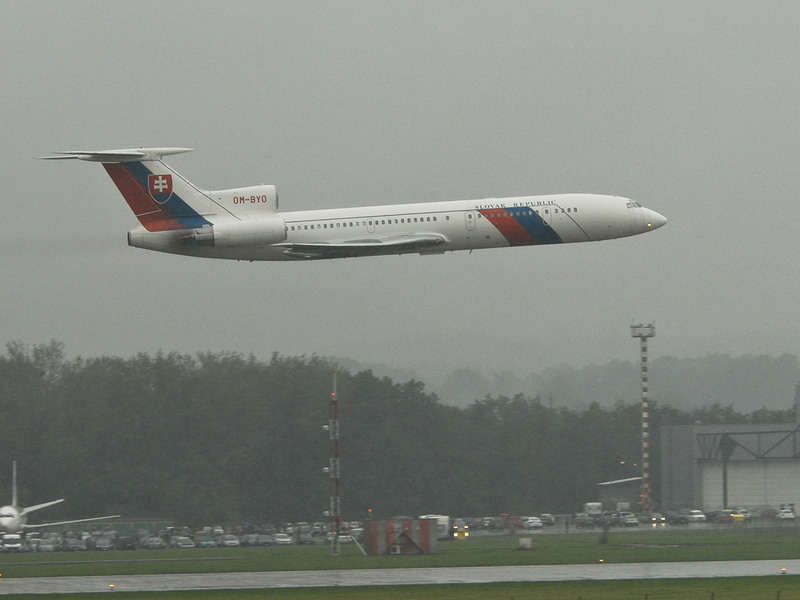 35 roamed around the Mošnov Airport. This year also belonged to the especially good ones. For the first time there were 20 flags waving over the Mošnov Airfielf; the Czech Gripen pilots have presented an air-refueling display with a French C-135FR tanker also for the first time. Also for the first time we had two American B-52 Stratofortress strategic bombers, one of which did an flying display (the only such display in the whole Europe that year). After six year the British Red Arrows aerobics team showed their mastery and the French Ramex Delta team with two Mirage 2000N's made their first show outside of France. The flying display have somewhat shadowed the ground displays; however fans of green camo and police and other units were not deprived at all. 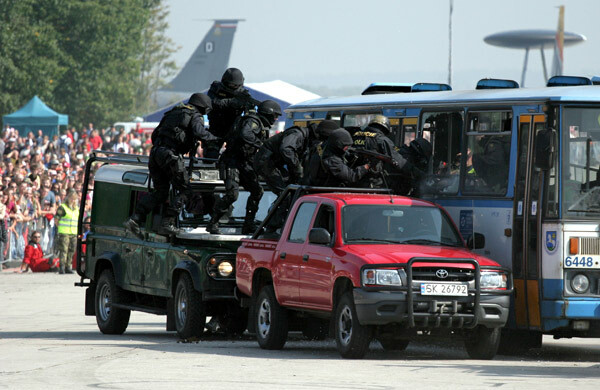 The joint display of police rapid intervention unit from Ostrava and Polish SPAP rapid intervention unit from Katowice was indeed a pull for the visitors. 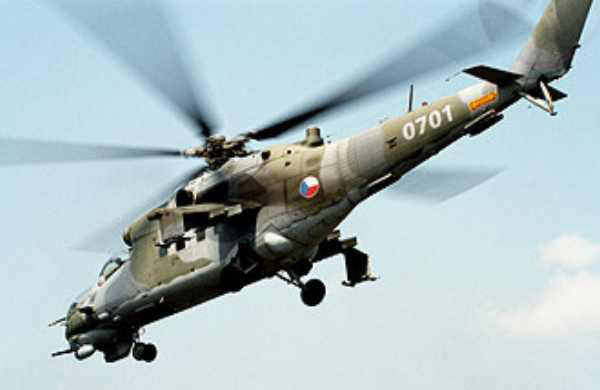 The units have freed the building of the organizational staff from the hands of terrorists and they used a Polish police Mi-8 helicopter in doing so. The underlying theme of this year was rememberance of the 10th anniversary of NATO Summit in Prague, which decided to enlarge the Alliance with seven Central and Eastern European countries. 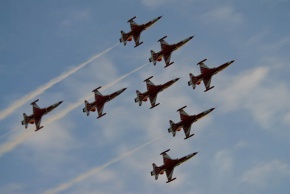 The main pulls in 2011 were definitely the Turkish Stars aerobatics team flying the NF-5 supersonics. 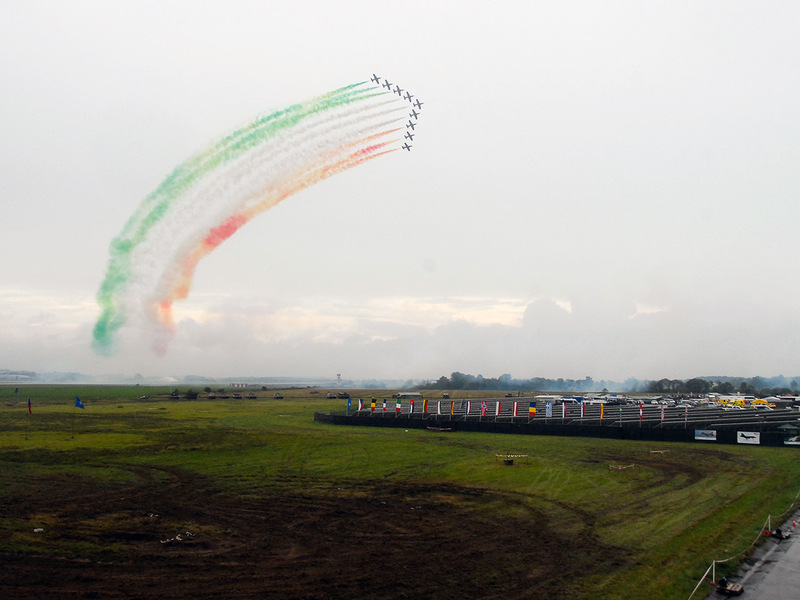 Also the British Red Arrows were supposed to perform, but they had to cancel their arrival, so “only” two aerobatics team met at the event – besides the Turkish Stars there were also Baltic Bees from Latvia with their L-39 aircraft. A highly valued participant was the Israeli Air Force, which presented two of its F-15D Baz fighters and a C-130 Hercules transport aircraft. 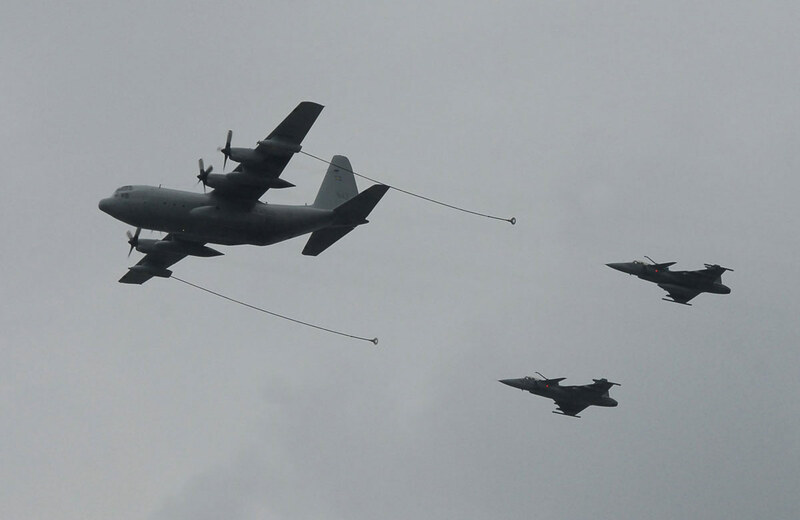 Incidentally, there were as many as 4 Hercules aircraft from 3 different air forces at the event. 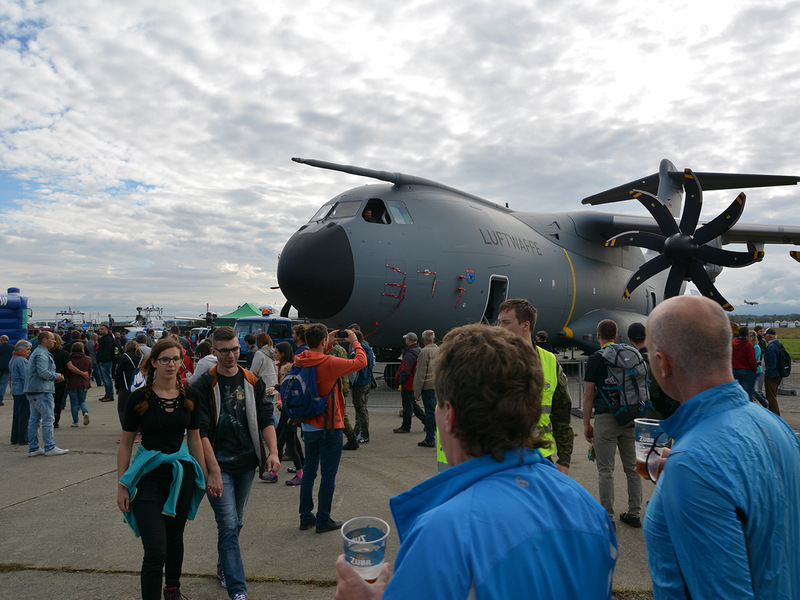 There also were Eurofighter Typhoon airplanes from three different air forces – the German and Italian ones at static display and an Austrian one at flying display. Morevore, the non-military ground units were not lagging behind. 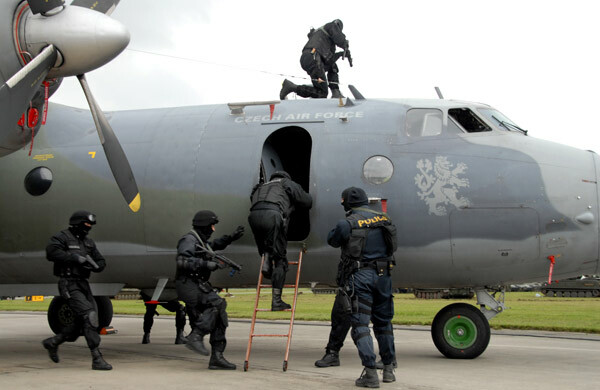 The Czech and Polish police intervention units presented a display of freeing the hostages from hijacked aircraft. 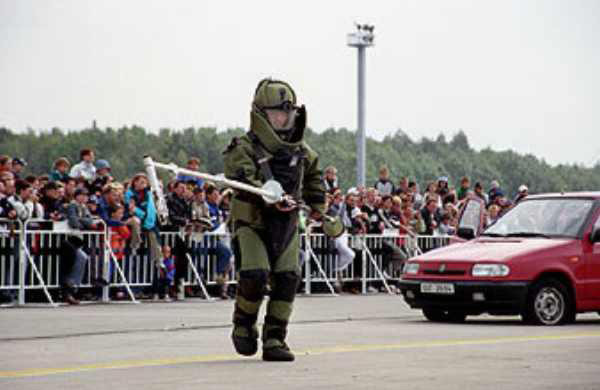 In a joint display by the Czech special forces unit of customs administration with the German ZUZ customs special intervention unit, the ZUZ presented itself only for the second time in public and for the very first time outside Germany. Thanks to these and great participants, this year’s number of visitors for both days of the Weekend show surpassed the magical number of 200,000, totalling as many as 225,000 visitors enjoying the show. The tenth year of NATO Days in Ostrava became the first year of Czech Air Force Days thanks to General Jiří Verner and his decision. This connection helped raise the international prestige and significance of the event. 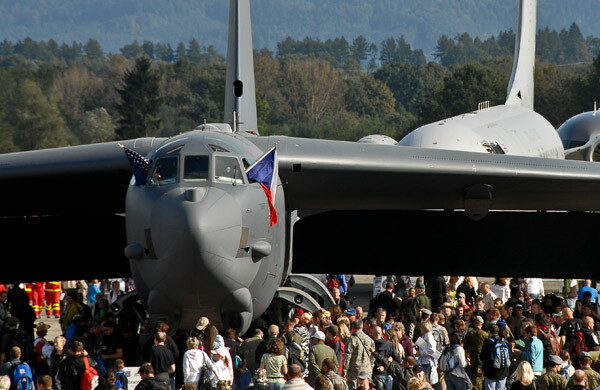 This year saw the Central European premiere of the American B-52H Stratofortress strategic bomber. On the other hand, the event was a last performance venue for two British RAF aircraft. In its last performance the Tornado F.3 fighter presented an attractive display with WW2 veteran Hurricane Mk.I aircraft. An unplanned last performance for the Czech public was carried by the Harrier GR.9, which became victim of budget cuts in the British defence budget. The ninth year was characterized by huge organizational changes. Firstly, the exhibition area was moved to a different part of the airport and secondly, the programme was extended to the whole weekend. 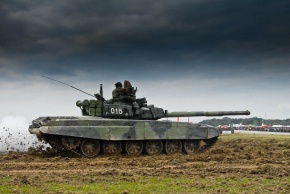 This year’s highlights were performances of British Typhoon Display Team, for the first time in Central Europe, or the dynamic display of Polish Rosomak armoured transport vehicle on the ground together with joint simulated intervention of Czech and Slovak customs administrations special forces. . 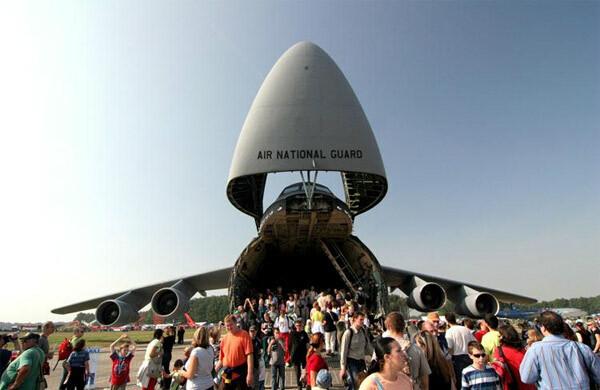 The 2009 Central European premiere for the public was the largest serially produced aircraft in the world – C-5 Galaxy from the USAF. This year, the event saw the highest number of premiere participating countries, which was matched in 2011, but not yet exceeded. Thanks to the lengthening of the programme to the whole weekend, the one-hundred-thousand visitors mark was also exceeded for the show with as many as 135,000 visitors present during the weekend. 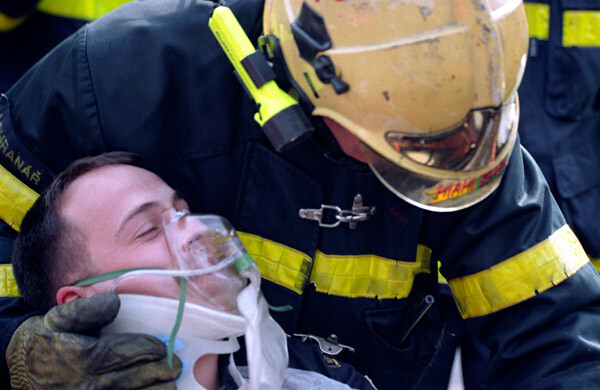 In 2008, we experienced for the first time, what it meant to cope with bad weather. Especially flying display actors had to face very difficult flying conditions: low temperature, rain and low cloud cover. And in spite the menacing morning forecast that said even helicopters couldn’t fly, around 11 o’clock the clouds miraculously opened and the flying programme could start, including performances of the Spanish Patrulla Águila aerobatics team, the first performance of the Dutch F-16 Demo Team at our event (who would have thought that we will see this team in following years again) and of the RAF Hawk Demo team. 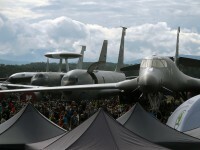 At the static display, the visitors could compare two versions of AWACS aircraft – NATO’s E-3A and British E-3D for the first time in the Czech Republic. 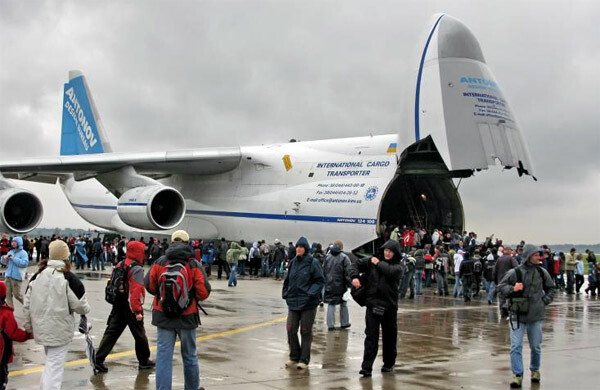 But the main pull of the eight year was a renewed public premiere of the An-124 Ruslan heavy transport aircraft, which was presented to the general public at Mošnov airport after 20 long years. 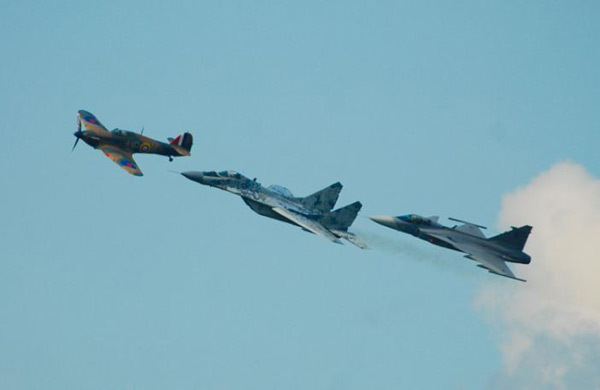 The seventh year served as a meeting place for the three most modern airplanes in Europe – British Typhoon F2, Czech Jas-39 Gripen and Polish F-16C Block 52+. In case of the British Typhoon F2 it was its first landing in Central and Eastern Europe. 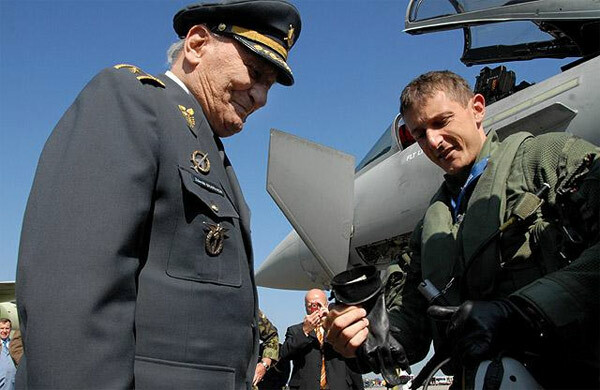 General Zdeněk Škarvada, direct participant of aerial combat in the WW2, personally welcomed the Typhoon at Mošnov airfield. The visitors applauded loudly especially to the US Viper East Demo TeamF-16CJ Fighting Falcon and the Spanish F-18 Hornet presentations. There was also an unforgettable display of great piloting skills of a C-17 Globemaster III, which was presented at a static display, too. 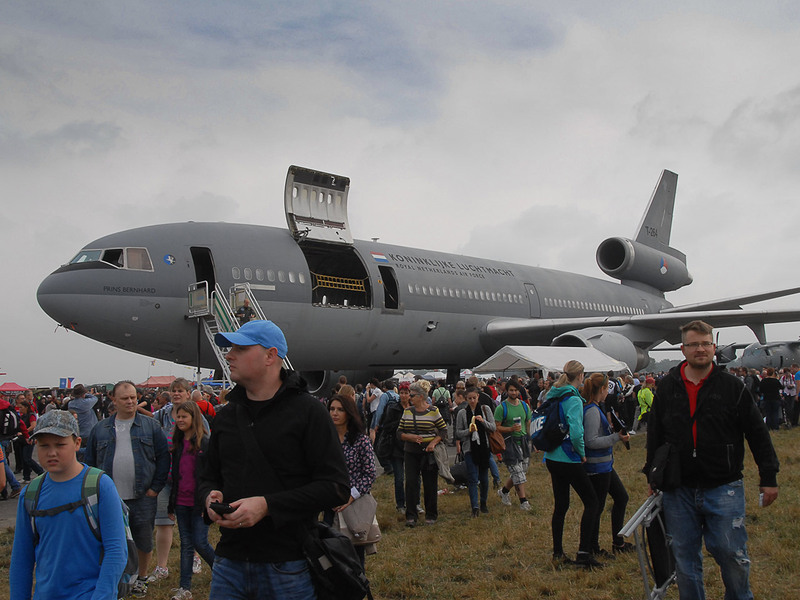 It was with the Globemaster III aircraft that the era of “large static displays” started, which has continued until today. 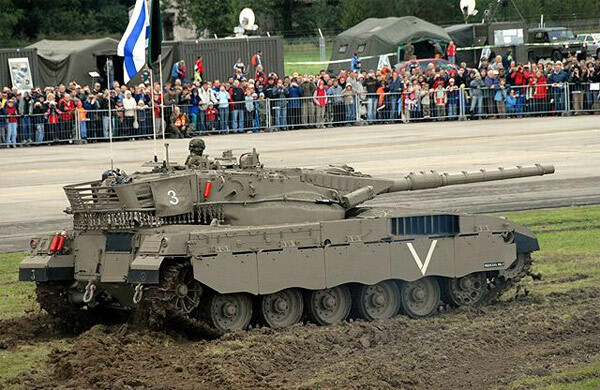 Another worldwide unique display was presented by the Military Historical Institute Prague, which introduced the Israeli Merkava Mk. I main battle tank – the only one outside Israel. 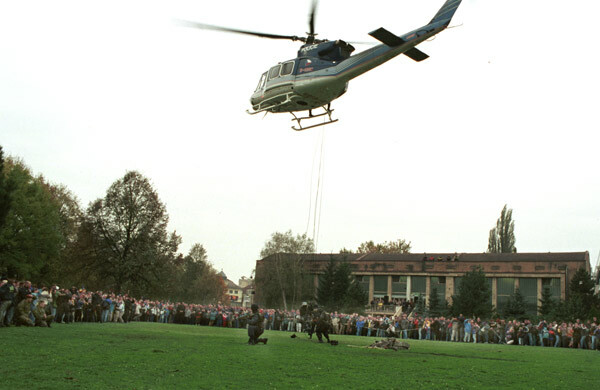 The first public premiere of special intervention units from Ostrava and Katowice took place at the event with display of saving hostages from an airplane. 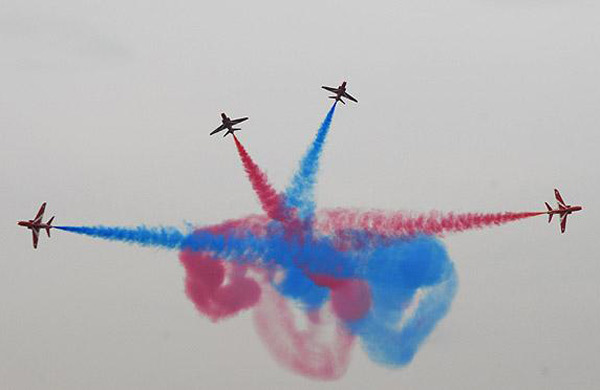 A performance of the world-renowned aerobatics Red Arrows team reaped the largest applause together with a flying display of the British version of E-3D AWACS aircraft. 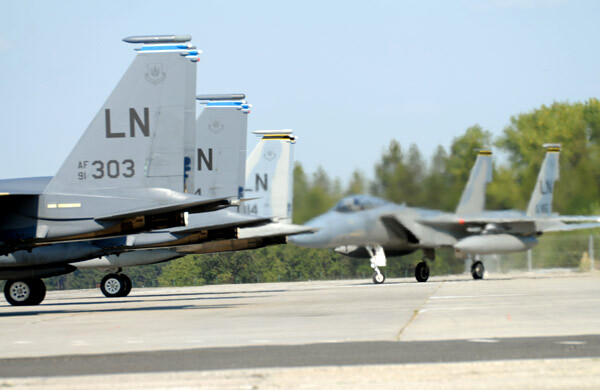 For the first time, the U. S. Air Force took part in the event, with two F-15C Eagle and two F-15E Strike Eagle supersonic jets, which have never met again at our event since then. 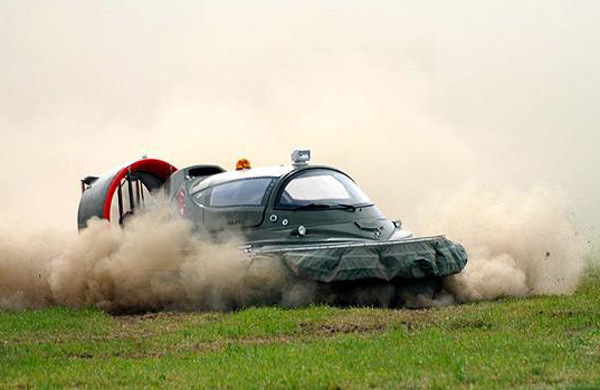 The public showed great appreciation to the hour-long simulation of real fighting situation by the Czech Armed Forces, which presented even some unusual equipment like the Pegas 4M hovercraft. The fifth year saw the first foreign air force participation by the Royal Air Force. 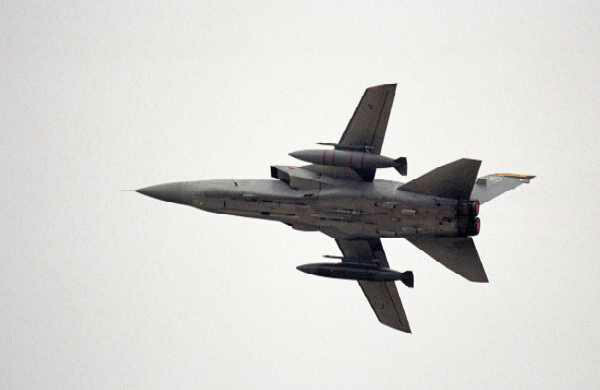 Two of its Tornado F3 supersonic jets from the base in Scottish Leuchars were originally planned for a static presentation only; however one of them was eventually instrumental in creating an unplanned final highlight of the programme. The characteristic sound of 111th RAF Squadron’s Tornado F3s was a natural part of our show till 2010. 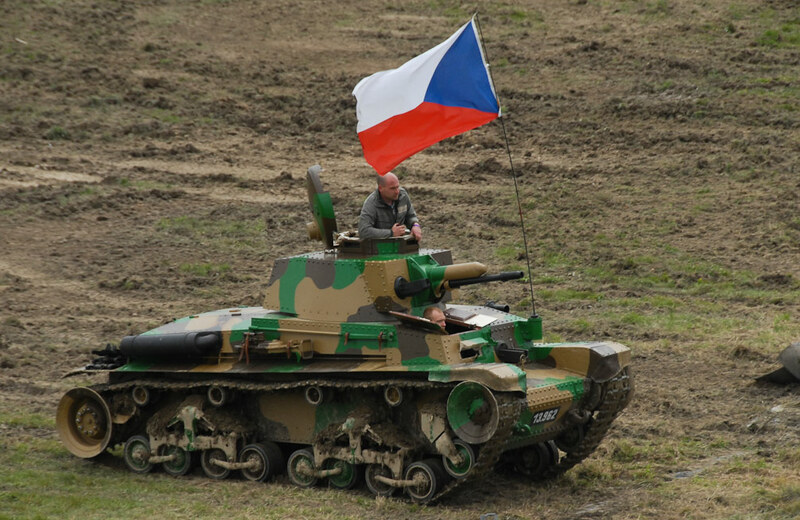 Among other highlights of the fifth year was a Joint Forces of the Czech Army display of three T-72M4CZ tanks, three BVP-2 infantry fighting vehicles, an engineering tank and Mi-17 and W-3A Sokol helicopters. 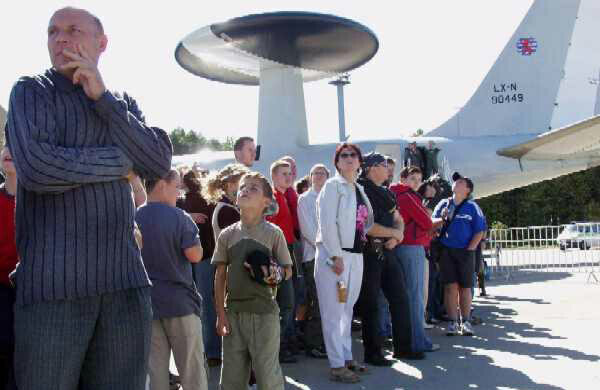 A legendary Věra passive radar system had its public premiere at the event, before which it was known only from the media. 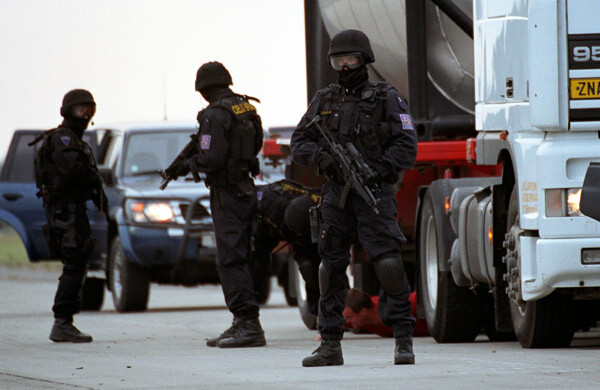 Special forces of the Customs Administration made a fascinating display of an intervention against a tanker truck carrying refugees across state borders, in which the used vehicle actually originally belonged to real-world smugglers, from whom it was confiscated. 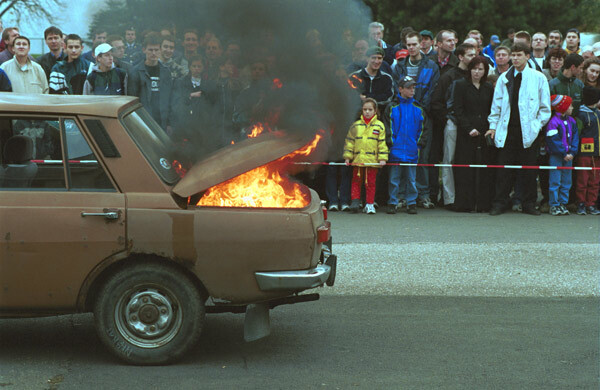 An important part of the 2005 event was the finals of the European Championship in fire sport of firefighters and rescuers. Also, since 2005 the event has started its own separate website, which have been running with slight updates till 2012. 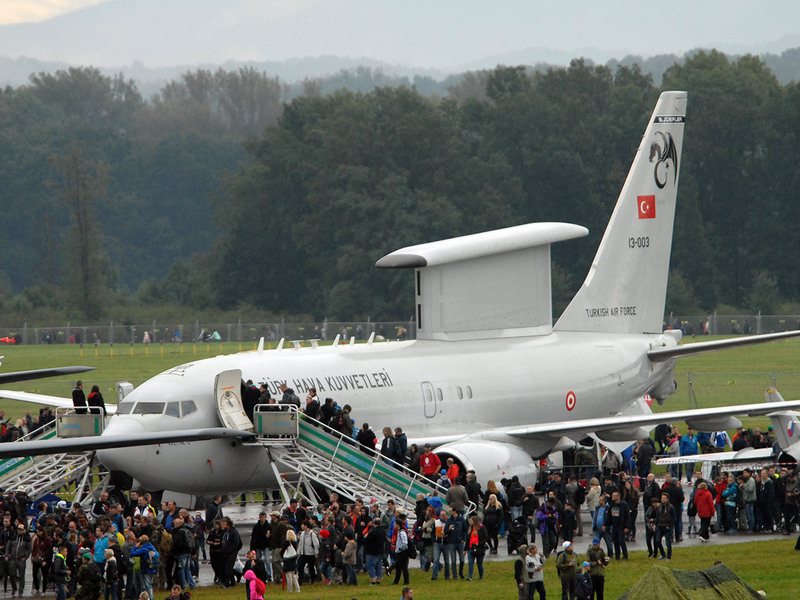 In the framework of the fourth year, it was for the first time that the Czech public were able to board the legendary E-3A Sentry “AWACS” early warning aircraft from NATO base from the German Geilenkirchen base. 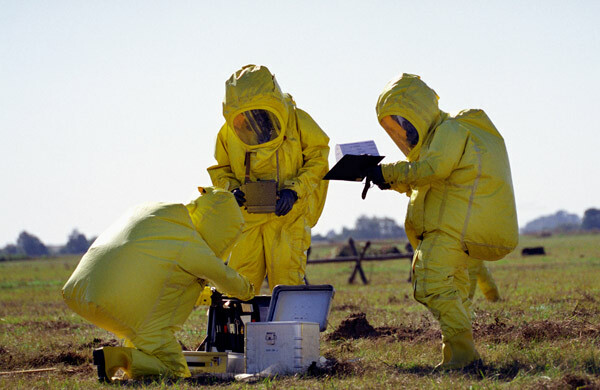 Another opportunity for the visitors was the presentation of all the equipment of a field hospital or of training of the world-renowned chemical protection unit from Liberec. 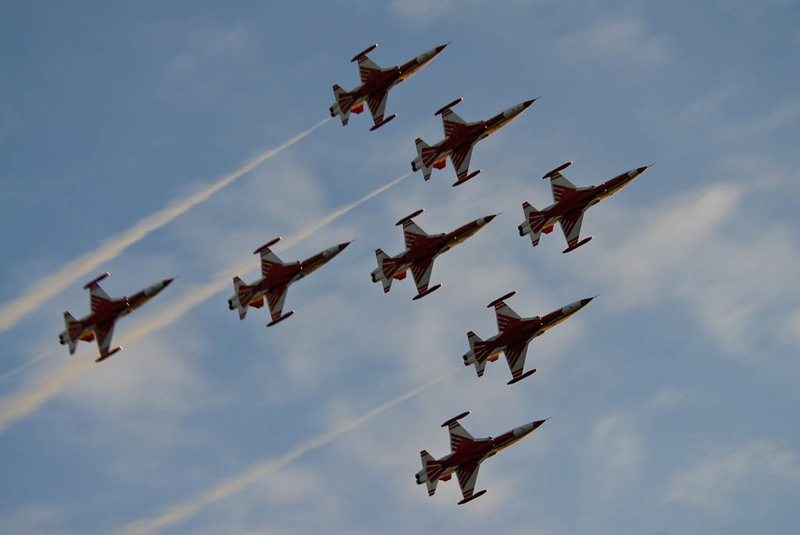 Since the third year, the event has been held regularly in mid-September at the Leoš width= widttdh= Janáče k Ostrava Airport, setting of which enables to carry out more attractive dynamic and especially flying displays. 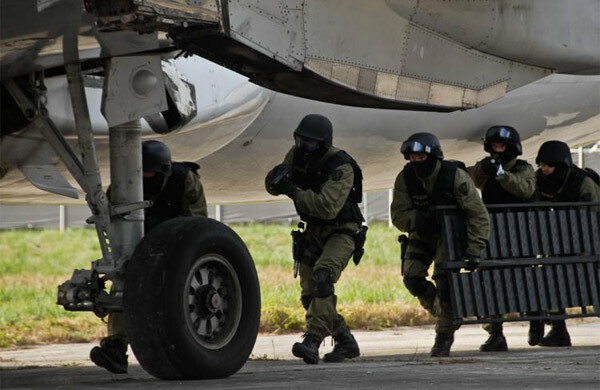 This year, the Special forces of the Prison Service and General Customs Directorate of the Customs Administration of the Czech Republic have joined the regular participants of the event, which significantly widened the scale of civil services and integrated rescue system components presenting. The absolute highlight of the programme was a Mi-24 helicopter flying display. A third foreign participant joined the event – the United Kingdom with presentation of a British training team BMATT from Vyškov. 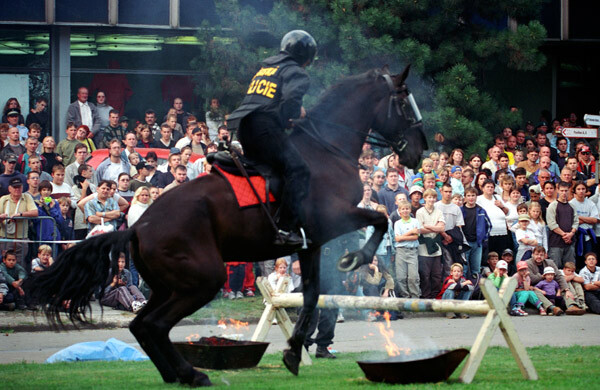 The UK has been taking part almost every year since NATO Day in Ostrava 2003. The second year, which took place at the Černá louka again, saw participation of the first NATO non-member country at that time – Slovakia, which supported its pending invitation to join NATO at the Prague Summit by its active participation at the NATO Days. 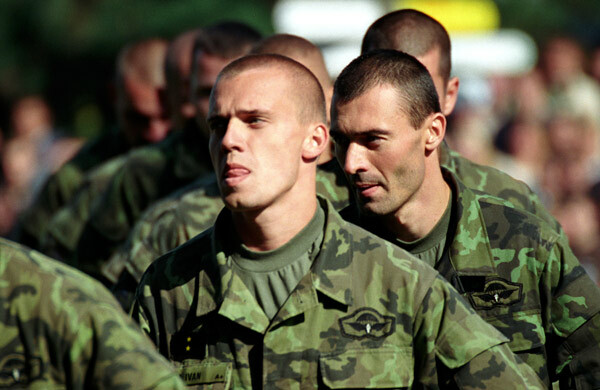 Slovakia sent its most elite fighting force – 7th Special Airborne Regiment from Žilina, which has presented itself only once in the Czech Republic – and for the last time till today. 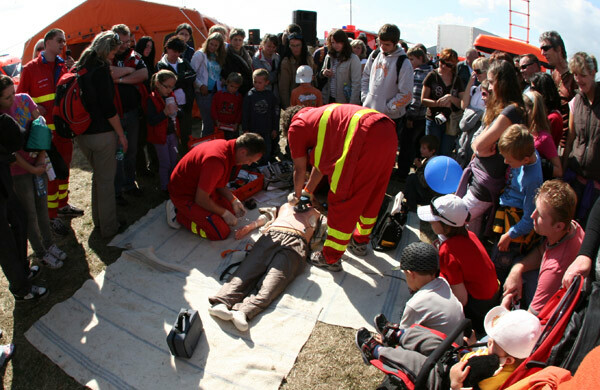 The first year took place on a Friday afternoon - "after work" - at the Černá louka fair ground in the Ostrava centre. 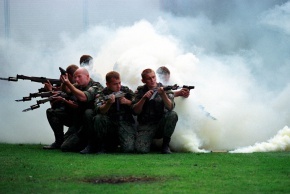 The visitors could see special military and rescue equipment, equipment and armament of a special and reconnaissance unit, the training methods and equipment of the police, displays of an anti-terrorist commando, searching for drugs and weapons, displays of firefighters and rescuers and many more interesting presentations. 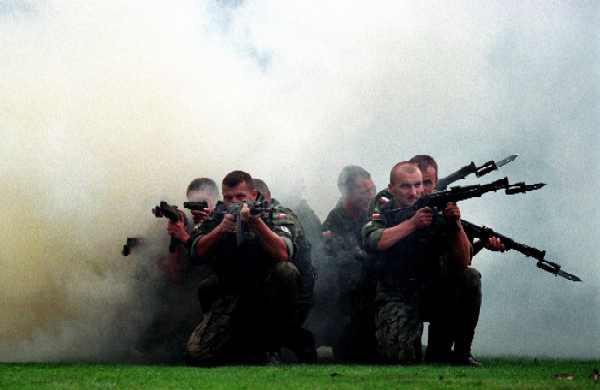 Also the elite paratroopers from Bialsko-Biala presented themselves and Poland thus became the historically first foreign country, which took part in NATO Days in Ostrava.